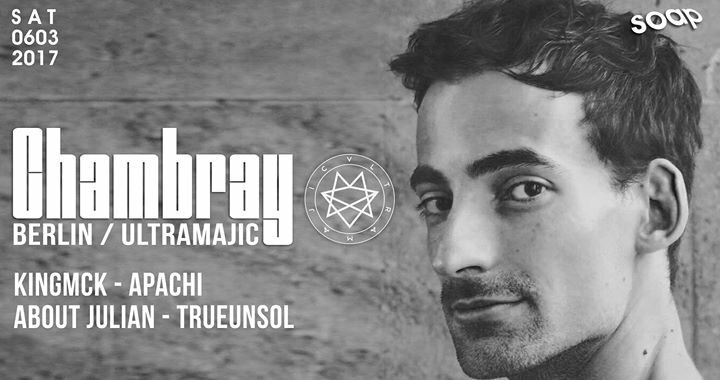 Chambray is the alias of André Rost – the first Berlin based producer who signed to Jimmy Edgar’s ULTRAMAJIC imprint. The 31-year-old has gone on to deliver some massive dancefloor heaters full of punchy house tracks such as 'Anew' and 'Rub'. As an artist and producer Chambray experimenting a lot with new sounds, song structures and workflows to develop himself. Strongly influenced by techno and ghetto house, accompanies by african rhythms, his unique dealing with staccato stabs and special placing of ad-libs makes his sound distinctive. He remixed artists like Boys Noize, Amtrac, Panteros666 (just to name a few) and collaborated with DJ Haus. His most memorable day in his career as musician was when he got back in 2016 a personal invitation from Richie Hawtin to perform due to his PLAYdifferently mixer launch at Boiler Room Berlin.